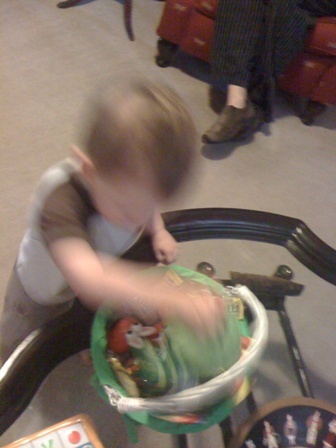 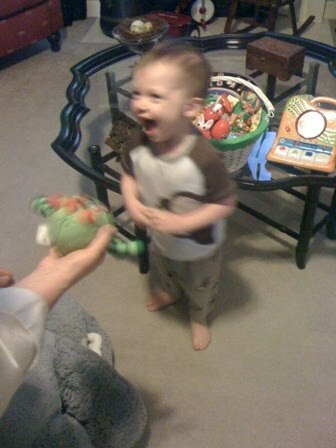 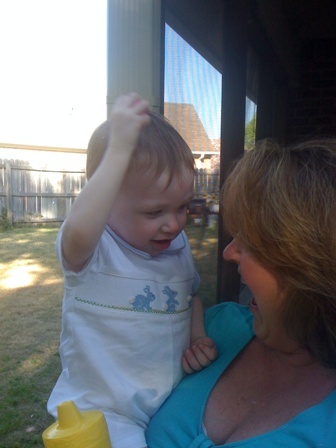 Gigi showed Lane how his Brobie toy worked – PURE EXCITEMENT! 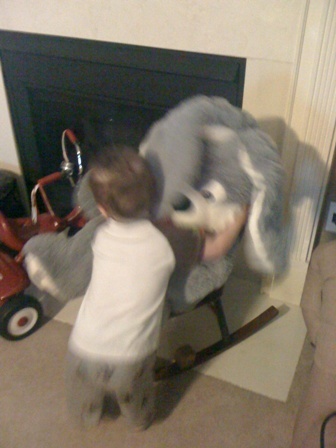 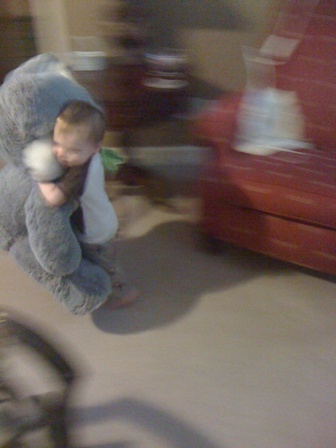 Gigi and Papa Rock bought him a HUGE Easter bunny! 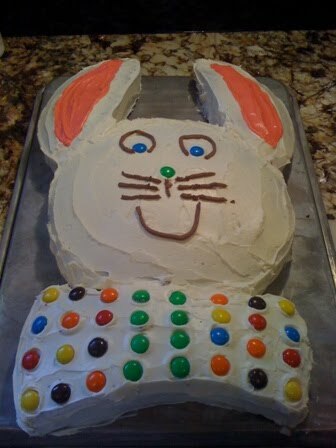 The traditional Easter bunny cake. 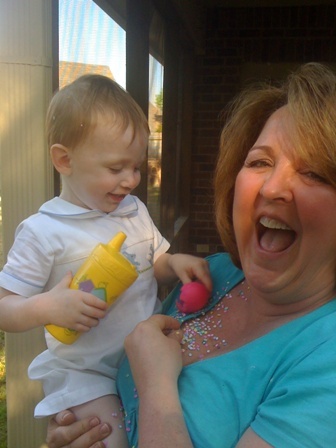 I don’t remember an Easter in my life without this cake. 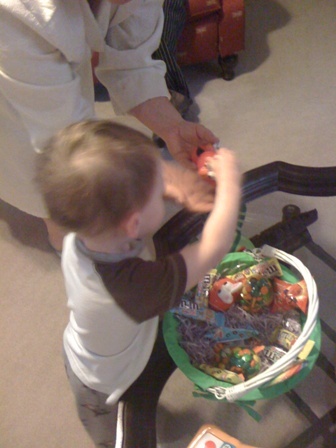 A few adjustments were made this year, mainly the use of m&m’s. 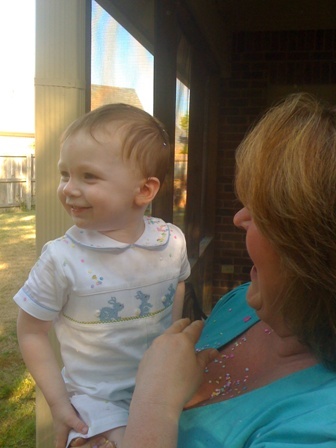 I thought maybe Lane might try some cake if it had his favorite candy, but no! 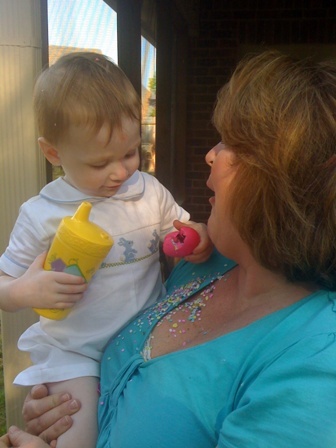 Seriously, what child does not like cake?? 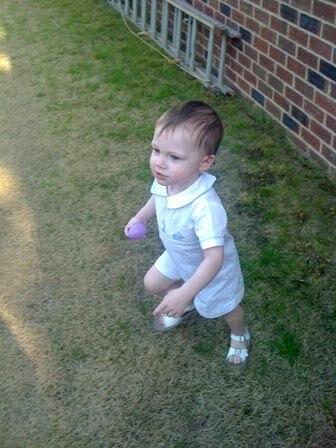 Lane absolutely LOVED hunting Easter eggs!! 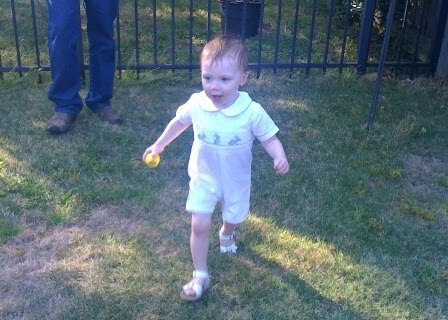 We hid and found eggs at least 3 times that afternoon. 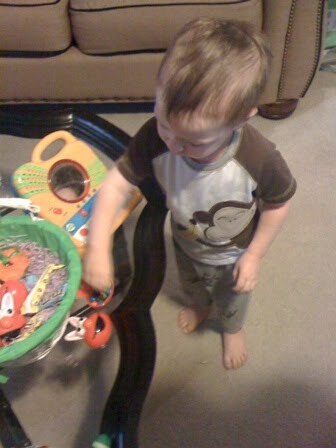 Then that evening after we put all the Easter eggs in a Ziploc bag, he opened the bag and scattered them around Gigi’s living room. 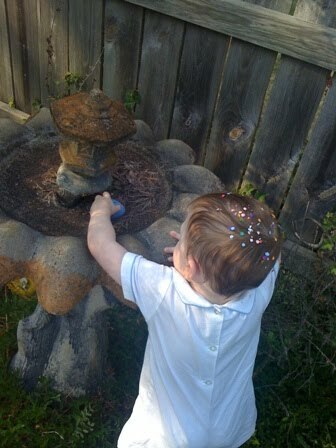 He wanted to hide eggs again! 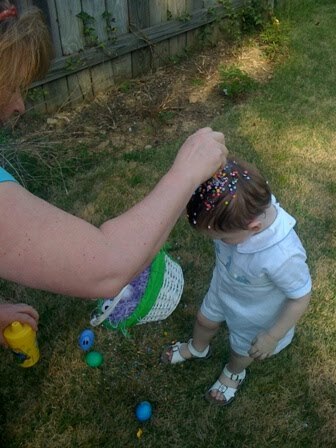 Gigi bought a case of confetti eggs. 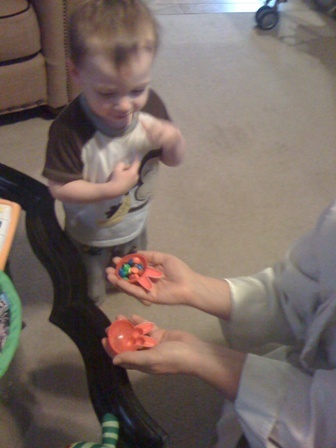 Lane did not think it was very funny when she cracked one over his head! 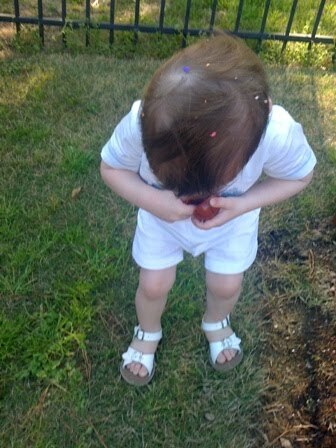 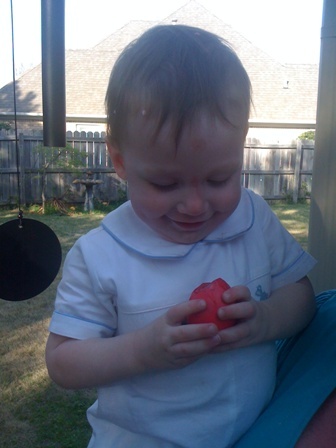 Lane liked the confetti eggs much better once he realized how to crack them! 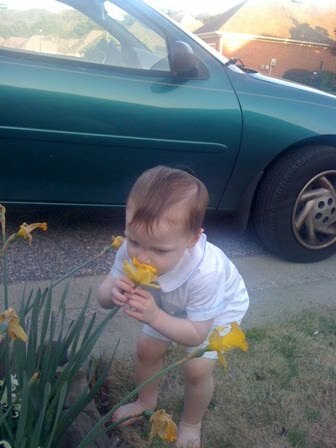 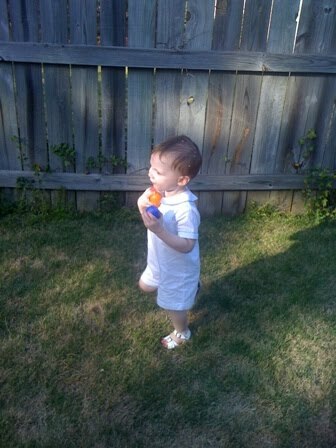 Later that afternoon, Lane took time to stop and smell the flowers!